These days it seems that all states are taking some flak as they work toward meeting their Recovery Act obligations by the year 2017, but some aren’t taking “no can do” for an answer. It’s not always easy, especially in home-rule states where current law prohibits the state from adopting a statewide code. But that didn’t stop the state of Illinois, which passed legislation in 2009 to remove the local home-rule jurisdiction over residential energy standards, and adopt the 2009 International Energy Conservation Code (IECC), even though as a home-rule state, Illinois had never before had in effect a statewide, mandatory energy code for residential dwellings. In the same law, the legislation directed the state to adopt each new version of the IECC within nine months of its publication. A few years later, when Illinois became one of the first states to adopt the 2012 version of the IECC, some local jurisdictions said “no can do”. The City of Springfield passed an ordinance specifying that the local building department would not enforce the code. Sixteen other local jurisdictions considered the same. So the state stepped up and took action. It implemented a simple but potentially best-practice-worthy pilot program to address local jurisdiction’s concerns about having to add energy code component inspections to their already-long list of inspections. Here it is… an optional, third party inspector program, which allows local jurisdictions to accept an energy code inspection checklist from an ICC-trained and certified third party, all funded by the state with funds derived from the utility systems benefit funds. The local jurisdiction signs a Memorandum of Understanding (MOU) with a trained and certified third party inspector participating in the program, and agrees to participate in the program. The homebuilder signs a MOU with the third-party inspector and hires the inspector. They agree upon a price for the energy code inspection, of which up to $400 may be rebated by the state. Upon completion of the inspection and submission to the builder of appropriate documentation, the builder pays the third party inspector. The builder applies to the state for a rebate to cover the cost of the energy inspection up to $400 by submitting required receipts and supporting checklists. The builder pays the entire building permit fee to the jurisdiction. The local jurisdiction assigns one of their staff, certified through this program, to inspect the Energy Code components of the new residential building. Along with submission of necessary permitting receipts and supporting checklists, the builder applies to the state for a rebate to cover the cost of the energy inspection portion of the permitting fee up to $400. Will it work? 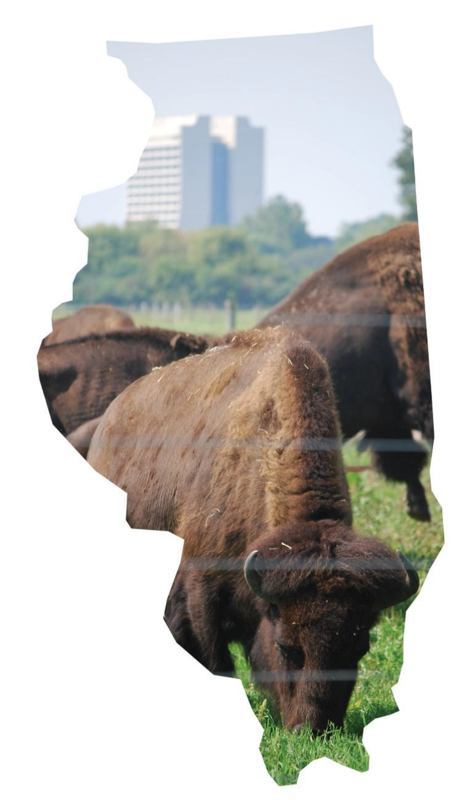 Time will tell, but kudos to the state of Illinois for being brave enough to work with the legislature to ensure that all new construction in Illinois is energy efficient, and for being steadfast and nimble enough to address problems that arise along the way. If fully enforced, according a Building Codes Assistance Project’s (BCAP) analysis, the state’s move from the 2009 IECC to the 2012 IECC could save households up to an estimated $636 annually in lower energy bills by 2040. If realized, this would allow households in the state of Illinois to avoid spending over $8 billion in home energy costs over the next three decades, freeing up that money to be spent elsewhere in its economy. As other states consider options for how to handle the increased attention to detail that new energy codes require, the state of Illinois will be one to watch for innovations.